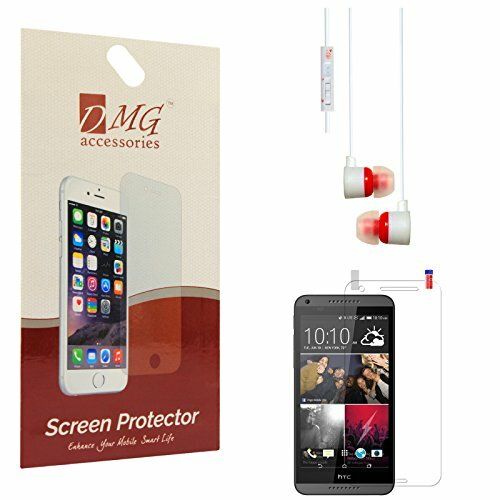 DMG Ultra Clear Pack of 9 Anti-Glare Anti-Scratch Anti-Fingerprint Screen Protector for Sony Xperia E4 + White Stereo Earphone with Mic and Volume Control@495 Rs [Mrp:-495] - Onlinedeals.discount - A leading product discovery website. Find the true prices of products, read reviews and buy top brand products at reasonable prices. Package includes high quality white stereo earphones with 3.5mm plug. The earphones also feature volume control remote and microphone for complete handsfree comfort. Premium Pack of 9 Anti-Glare/Anti-Fingerprint Screen Protector for Sony Xperia E4 is made from superior quality 3-layer PET film, and specifically designed to fit your device. The first and last films are mask films, where the stickers are affixed. The actual screen protector for your device is the film in the middle. The Clear Pack of 9 Anti-Glare top coating not only reduces the glare but also reduce the fingerprints from daily use and brings to you a distortion free viewing. In addition it effectively protects the screen from daily scratches, dust and scrapes. With a self-adhering surface, the screen protectors are designed for easy application and zero-to-minimal bubbles during application. Package includes high quality white stereo earphones with 3.5mm plug. The earphones also feature volume control remote and microphone for complete handsfree comfort.